25 Years In Iraq, With No End In Sight : Parallels Iraq invaded Kuwait on Aug. 2, 1990. 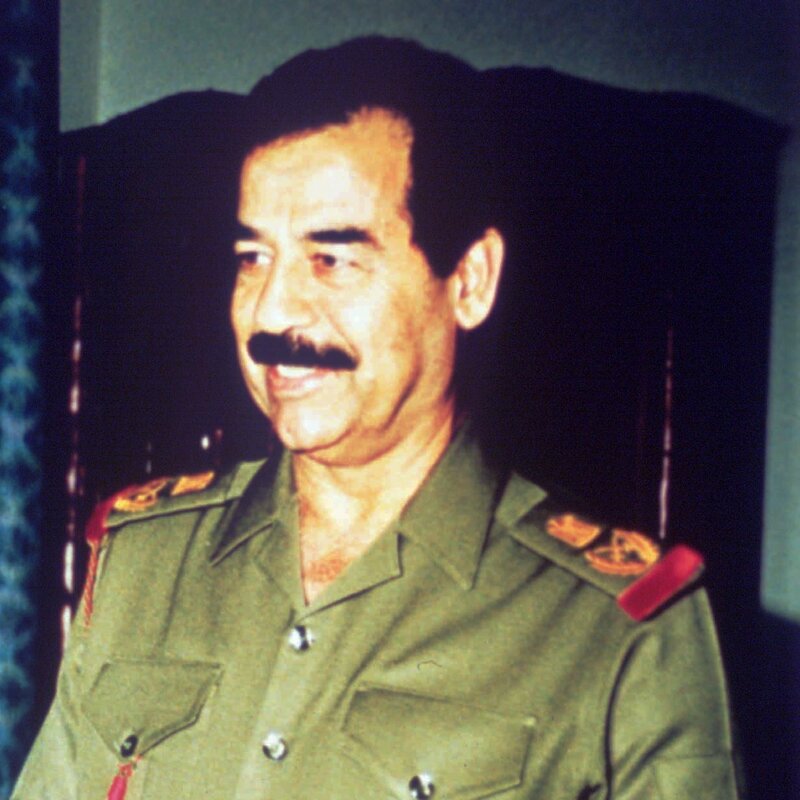 The U.S. reversed Saddam Hussein's aggression, but it was just the start of the U.S. military role in Iraq that's spanned four presidents and a panoply of goals. 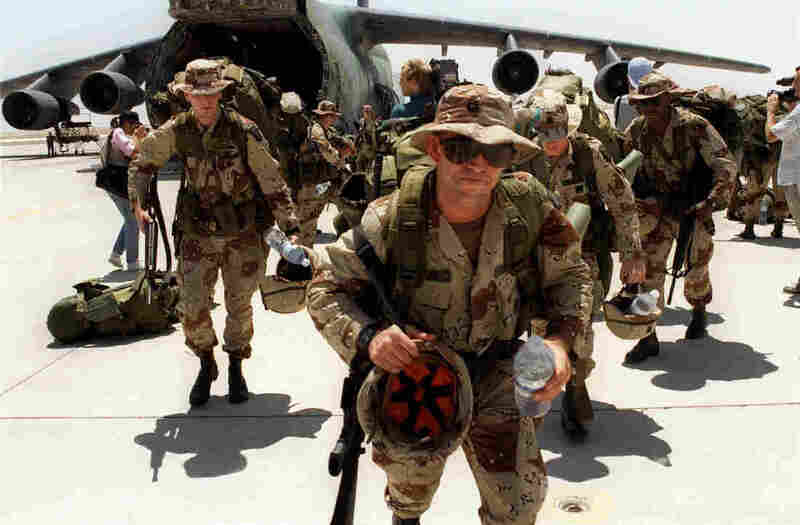 U.S. Marines arrive at Saudi Arabia's Dhahran Air Base on Aug. 21, 1990. The U.S. began a buildup in the region just days after Iraq invaded Kuwait on Aug. 2 of that year. The U.S. military has been active in Iraq virtually nonstop for the past quarter-century. Iraq President Saddam Hussein is shown in Baghdad in January 1991, just before the first U.S. war in Iraq. The American forces would oust the Iraqi leader 12 years later in a second war. 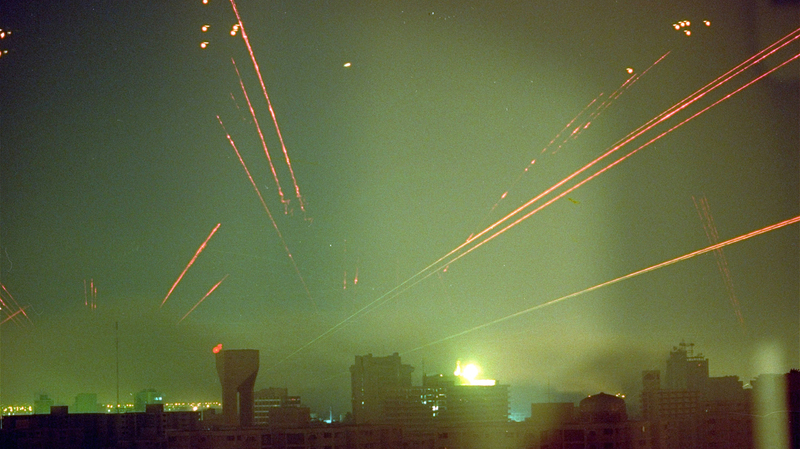 Iraqi antiaircraft fire lights up the skies over Baghdad in response to U.S. warplanes that bombed the Iraqi capital in the early hours of Jan. 18, 1991. 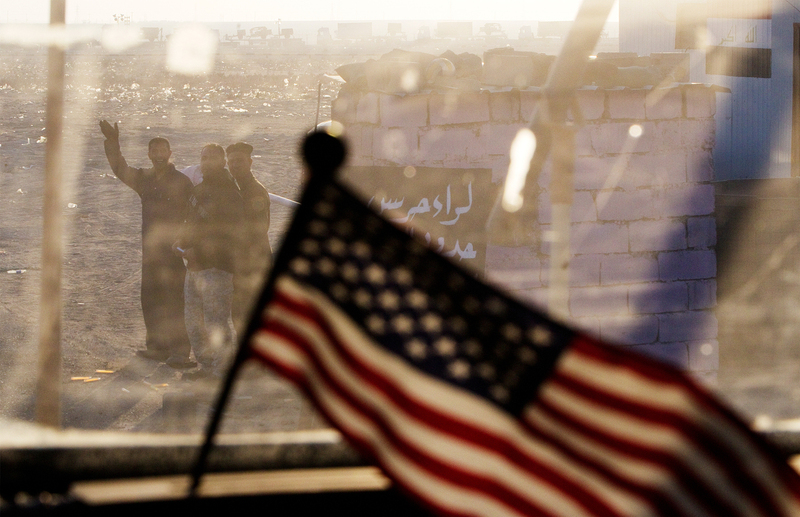 The U.S. campaign drove the Iraqis out of Kuwait in a little over a month. 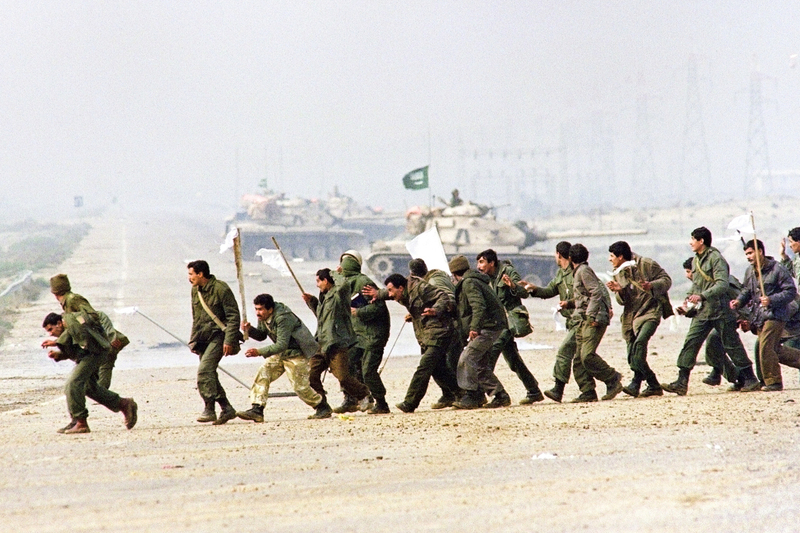 Iraqi soldiers cross a highway carrying white surrender flags on Feb. 25, 1991, in Kuwait City. The U.S.-led coalition overwhelmed the Iraqi forces and swiftly drove them out of Kuwait. 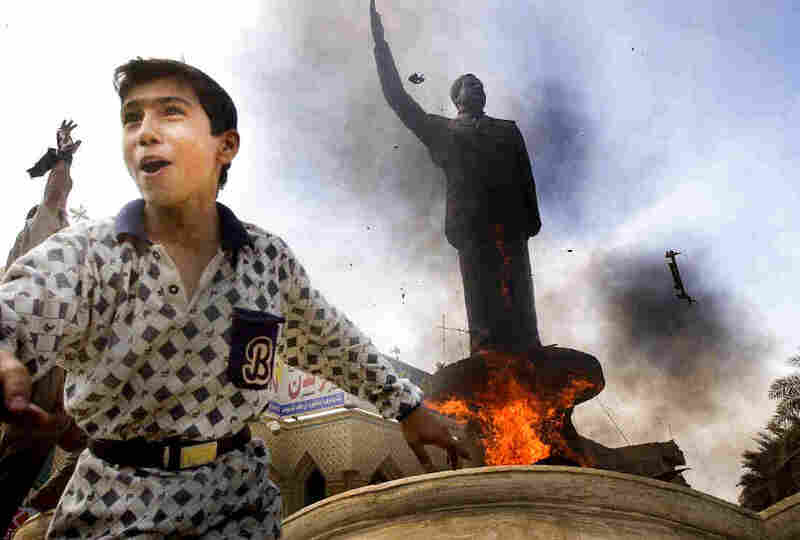 An Iraqi boy cheers as a statue of ousted Iraqi President Saddam Hussein is set ablaze during an impromptu celebration on the streets of Baghdad on April 12, 2003. 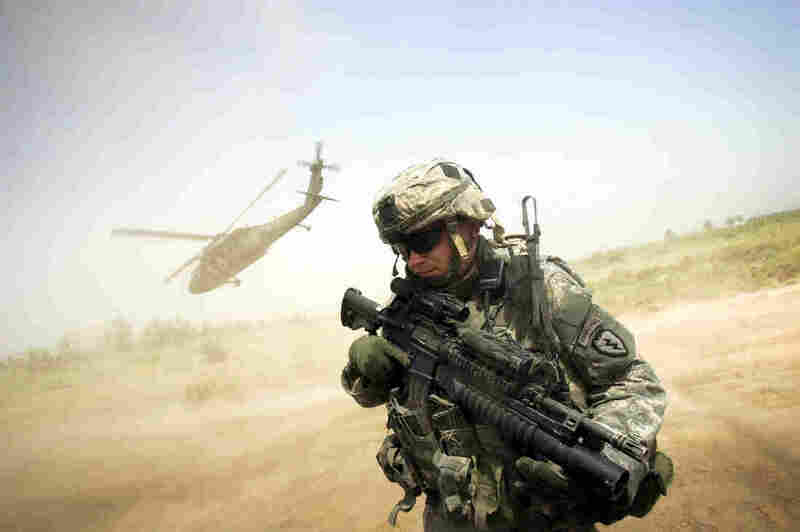 A U.S. soldier turns his back to the helicopter carrying Maj. Gen. Rick Lynch, the U.S. commander in central Iraq, as the chopper takes off from a patrol base south of Baghdad, in 2007. A surge in U.S. troops that year changed the course of the war and helped stabilize Iraq, at least temporarily. Iraqis wave at a departing U.S. armored vehicle from the 3rd Brigade Combat Team, 1st Cavalry Division. The vehicle was part of the last U.S. military convoy to leave Iraq on Dec. 18, 2011. Iraq was relatively stable at the time the U.S. pulled out, but the rise of the Islamic State would lead President Obama to launch an air campaign in Iraq in August 2014. An Iraqi woman stands amid the debris following a suicide car bomb attack carried out by the Islamic State north of Baghdad, on July 18. 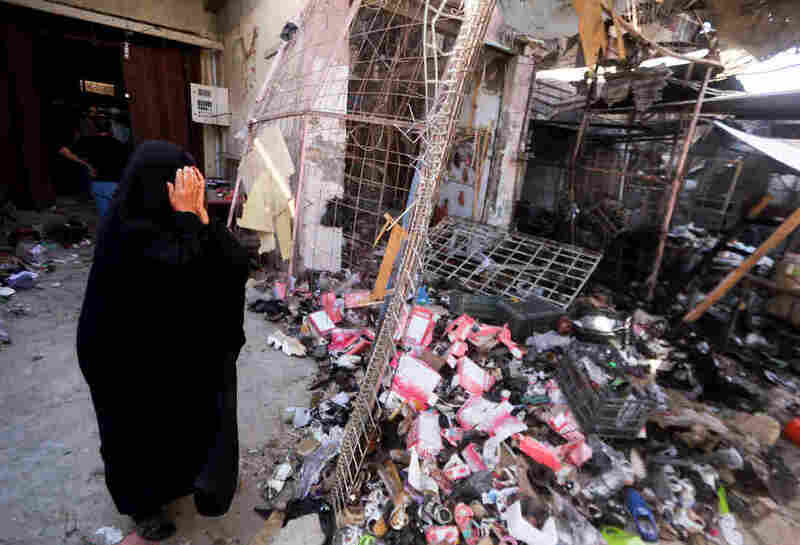 The extremist group still holds much of western Iraq despite the U.S. air campaign that began a year ago. Greg Myre is the international editor of NPR.org and first covered Iraq in the 1991 war. Follow him @gregmyre1.